Talca is a fairly nondescript Chilean city located on the western edge of the central valley about 2 ½ hours south of Santiago. Known for being quaint and peaceful, this city of about 200,000 doesn’t generally draw much attention from outside the region. Locals consider Talca to be a fairly boring place, with MUCH less nightlife than in Santiago and no big name attractions in the region, and most foreigners don’t take any notice of the area at all. But this is going to change someday very soon. Most people think I’m joking when I say that the Talca area is on its way to becoming a lot more popular among both locals and foreigners and that it’s going to be one of the next epicenters of a wave of foreign direct investment that will be arriving in Chile in the next 12 to 18 months. This isn’t all just speculation on my part. There’s plenty of “plain as day” evidence that this is starting to happen right now. Between the new hospital that’s being built in Talca, the growth in the agricultural sector in the region, and a number of new infrastructure projects that are currently being developed, you can physically see the investment that’s going into this area. 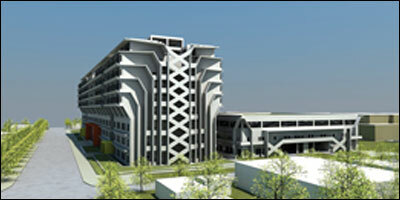 $218 million USD is being spent on the new hosptial, which is set to be one of the best in the country when it’s finished in 2014. It's going to have one of the most modern cancer treatment centers on the continent and is going to tie into the new city which is being built here. In regards to the agricultural sector, things seem to really be starting to heat up. The amount of land that’s starting to be acquired, tilled, and put to use in the rural counties surrounding the city is astounding and the increase in interest this area, just since this same time last year, has been very evident. At least another $30M USD has already gone into some of the new tranporation and road projects that will be completed over the next year and will make the region as a whole much better connected. The really interesting part is that most things in Talca still sell at a fairly steep discount compared to other parts of the country (from services to food to property), and most of the new improvements that are under construction right now haven't fully been factored into prices just yet. It makes for an interesting situation where you can take advantage of either the low cost of living or of investing here while the market takes some time to catch up with all the advancements that are being made. There are a few Chilean developers that are already getting set up to take advantage of this anomoly and I’m sure we’ll see a lot more entering the market as the area gets more publicity. 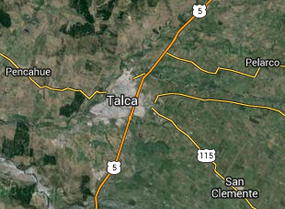 The truth about Talca is that this place is going to start catching a lot more headlines over the next few years. I’d be making plans to gain some exposure to this market before that happens, if I hadn’t done so already.